Well, as always happens, we're back to Monday. I hope you had a good weekend, full of gaming. My Saturday certainly was. Guild Ball, Wizard, Apples to Apples. Good times (especially when you win 12-0 in Guild Ball ;) ). So, while there wasn't much in the way of terrain being used, that doesn't mean that we can't still talk about terrain now. And so we will. 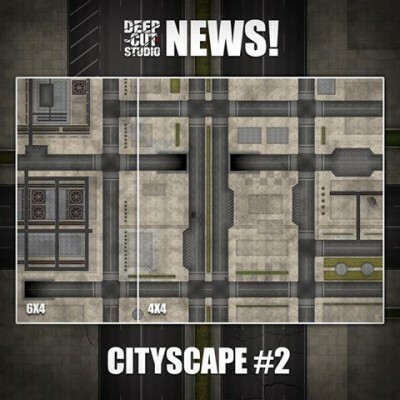 In today's Terrain Corner we have: Deep-Cut Studio releases new gaming mat for Dropzone Commander and City Ruins: Pwork Wargames Sci-Fi Gaming Mat Now Available. New gaming mat release! Our latest addition in gaming mats range is a tribute to Dropzone Commander game. It is a great new background that comes in pvc, cloth or mousepad materials and few popular sizes to meet your scenario ideas. Unroll, deploy and let your strategy and dice do the talking! The Game Mat City Ruins is a PVC or CLOTH made rollable terrain mat, ideal for wargames, in size 4x6’ (122x183cm), 4x4’ (122x122cm), 3x3’ (92x92cm), 3x6' (92x183cm), representing the scenery of a city in ruins, destroyed by the bombing and the horrors of war. 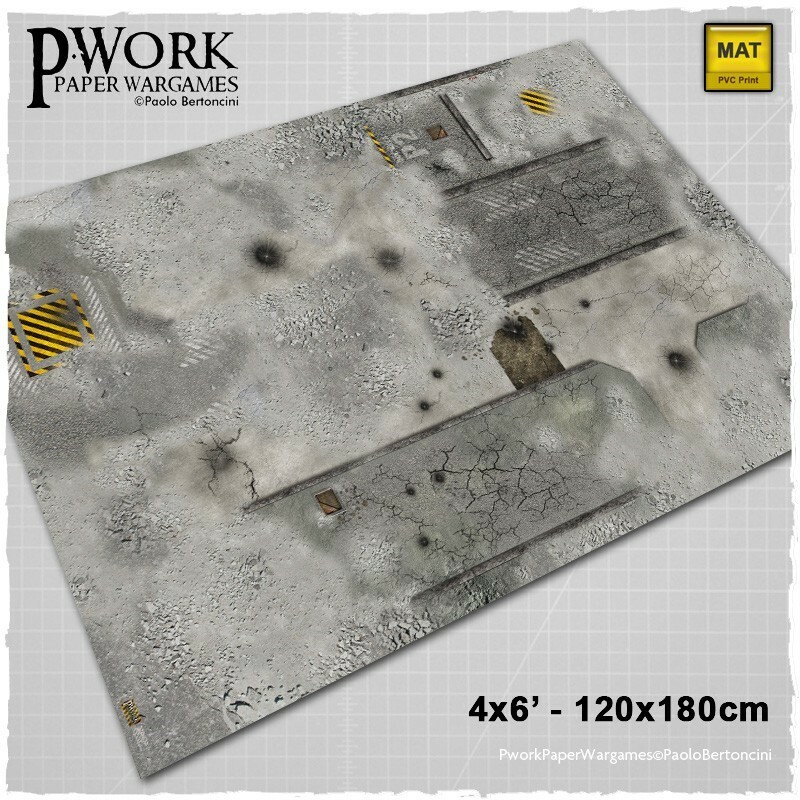 The Wargame Mat City Ruins offers the possibility of setting battles between armies of miniatures among craters in the asphalt, improvised trenches and collapsed buildings. The mat is a perfect Science-Fiction setting for futuristic game play, ideal for cityfights and tank conflicts! Are you ready to battle?